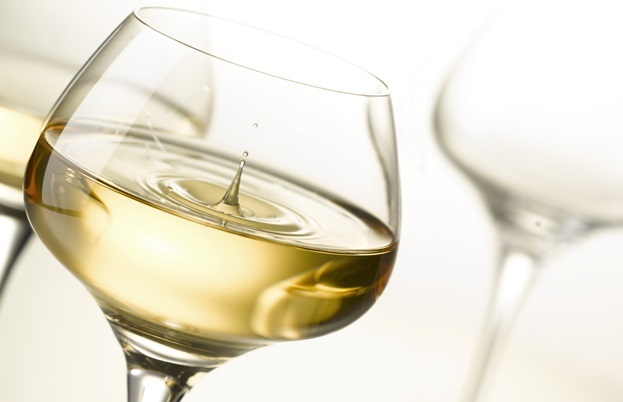 Gewurztraminer is a distinct, aromatic wine known for its full body and unique aromas of rose petal, lychee and ginger. This wine more than any other has become associated with the French region of Alsace which produces some of the finest Gewurztraminers in the world. Wine regions all over the world often have a ‘calling card’ that identifies them and symbolises something unique about their character. 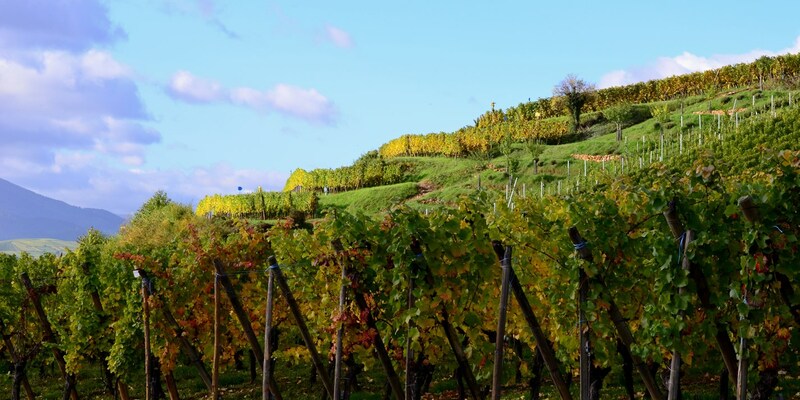 While Alsace can justly be extremely proud of making a broad range of delicious wines, including some of the finest in the world, the grape that is most uniquely associated with the region is probably Gewurztraminer. - Alsace Gewurztraminer is marked by its unique aromas of rose petal and lychee, a full body and ripeness of exotic fruit infused with ginger. - ‘Gewurz’ means ‘spicy’ in Alsatian dialect but we use it to mean ‘lively’, ‘high-spirited’, maybe even a little ‘scandalous’. These are not shy and retiring wines, but ones that demand your attention with a big personality. 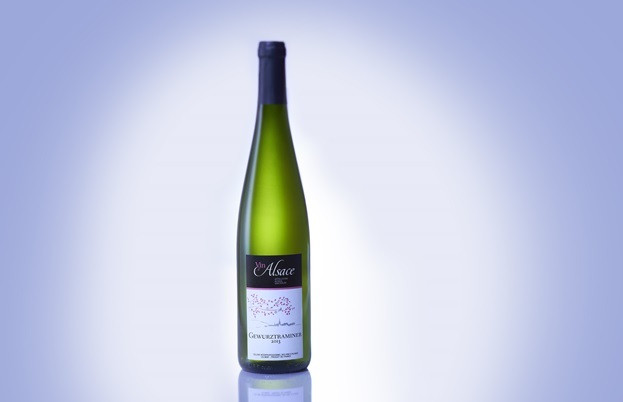 - Alsace Gewurztraminer is the ideal partner for rich pork dishes and pungent cheeses, but it has a special place in the heart of lovers of Chinese, Indian, Thai and Malay cuisine because it marries beautifully with the spices and flavours in these cuisines. 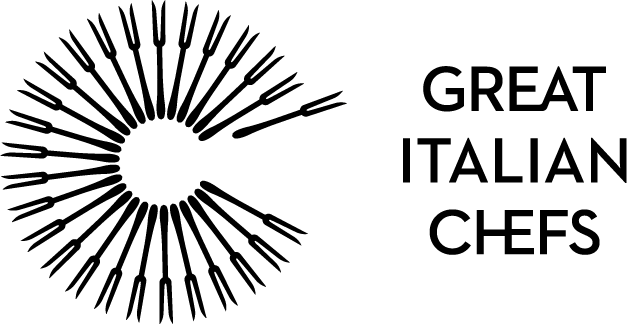 - Choose Gewurztraminer when the occasion demands a wine with character to stand up to equally complex, rich or ‘spicy’ dishes. Gewurztraminer is one of the most widely planted varieties in Alsace, a region that dominates the production of this grape across the world. The Gewurztraminer grape stands out for its pink skin but it isn’t easy to grow and relies on good weather and careful management. It doesn’t have high natural acidity, so it needs to be picked at the right time to balance its freshness, its aromas and the sugars that give higher than average alcohol content but also add to the wine’s roundness. Unlike some other grapes, Gewurztraminer doesn’t vary much from one individual vineyard to another, but it does benefit from the combination of long sunlight hours and cool climate especially in the best limestone soils of Alsace, making this the true home for this particular grape. Alsace Gewurztraminer arrives like a strongly perfumed lady who catches the eye of the crowd as she is passing through, flamboyant and exuberant, but with a lovely richness and complexity plus a certain ‘je ne sais quoi’ making a hit out of any glass. Gewurztraminer is one of only four grape varieties that can achieve ‘Grand Cru’ status when grown in one of the 51 identified sites across Alsace. Here, not only are the conditions for growth ideal but tough quality standards ensure that the number of grapes that are left to grow on each vine are kept very low, allowing each vine to concentrate its efforts on just a few bunches. This is very important for getting the most from this complex grape. Look out for Alsace Grands Crus vineyard names such as Eichberg, Goldert, as well as Sonnenglanz. The late harvest, or ‘Vendange Tardive’ style of Gewurztraminer are wines made from grapes picked weeks after the main harvest, so the grapes become extra ripe and sweet. This results in wines with more intense notes of lychee, ginger and exotic flowers, and that are even more unctuous in the mouth. These wines do benefit from some ageing in the bottle to integrate the more ‘presumptuous’ aromas. The rarest forms are the ‘Selection de Grains Nobles’, or SGN, wines, where individual berries that have been affected by botrytis, or ‘noble rot’, are carefully selected and pressed to create truly stunning concentrations of those rose petal, lychee, mango, honey and musky floral notes in wines that last for decades in the bottle. The traditional matches for Alsace Gewurztraminer would be duck liver pate, rich onion tart, as well as flavoursome blue cheeses such as Stilton. The wines will also match with spicy Chinese, Indian or North African dishes of many kinds where the wine’s aromas, roundness and a hint of sweetness, balance and complement the flavours rather than being overpowered by them. These wines are some of the few to match tricky ingredients such as coconut milk, eggs and even truffle, but look for dishes with a strong ginger component for the ideal matches. Like regular styles, the Vendanges Tardives wines can complement a wide range of dishes, but they work well with pungent soft cheeses, sweet and nutty tarts and desserts with honey. Selection de Grains Nobles wines are delicious on their own, but you could match them with desserts with strong ginger notes, or even a very bitter and intense chocolate. It goes particularly well with heat and spice such as Thai-inspired king prawns with chilli and ginger components. I am currently suggesting it as the perfect wine to match a cauliflower, mint, pickled raisins, crispy capers and yeasted cauliflower purée dish to great success. Gewurztraminer is a grape that is adored by its many fans, but equally can be off-putting to many others. It is immediately and overwhelming perfumed, with rose petals and exotic fruit. It isn’t just the aroma; the taste of great Gewurztraminer is not shy either, often a little higher in alcohol and therefore a bit more full-bodied, enveloping other tastes rather than freshening them as one might expect of a white wine. Alsace Gewurztraminer is the Lady Gaga of the wine world – loved by its fans for its opulence, its flamboyance and its uniqueness, and yet at the same time this pageantry can also put people off at first glance. While the grape can combine sultry tones with bravado, some wine drinkers might find this overpowering, but we should remember that underneath that dazzling exterior is a serious and accomplished dancer, songwriter and businessperson that at the very least deserves our attention. If you are prepared to look beyond initial appearances and enjoy a dramatic performance from time to time, give Gewurztraminer a go. In this series we are exploring the region of Alsace and its main grape varieties in detail so you can identify the right match for your particular occasion.